After I added the evergreen in the near background, and added a few bare branches to the tree on the right, I knew it was time to stop working on this painting. As a study, I think it works, but I'm dissatisfied with the rendering of the snow (too many purple shadows, not enough white). 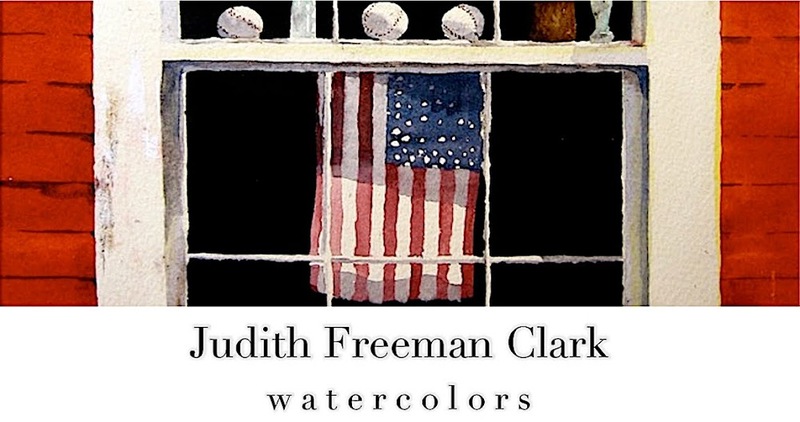 It's a good reminder that the perpetual challenge of watercolor is found in its sometimes-unforgiving, but beautifully fluid, properties. 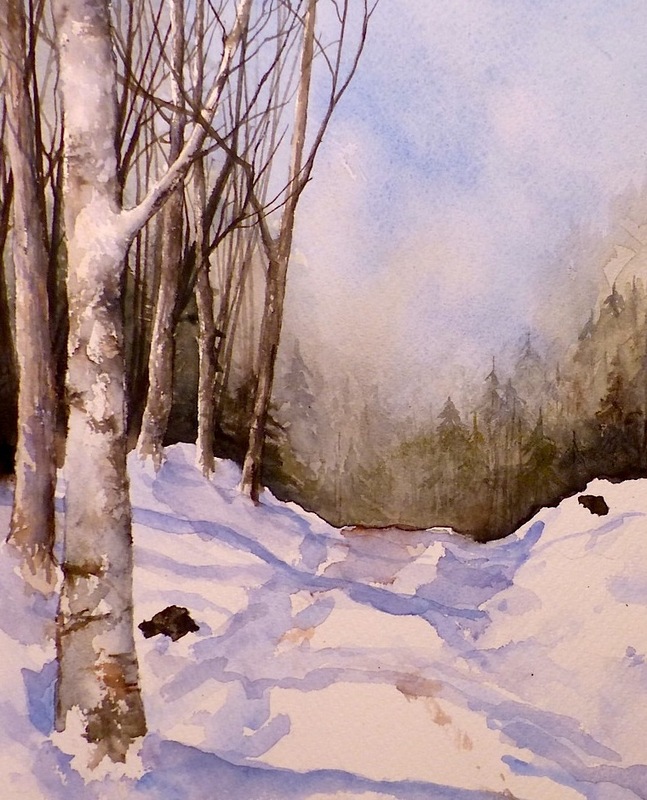 A few years ago I completed this woodland snow scene, which now hangs over the fireplace in my sister and brother-in-law's home on Cape Cod. 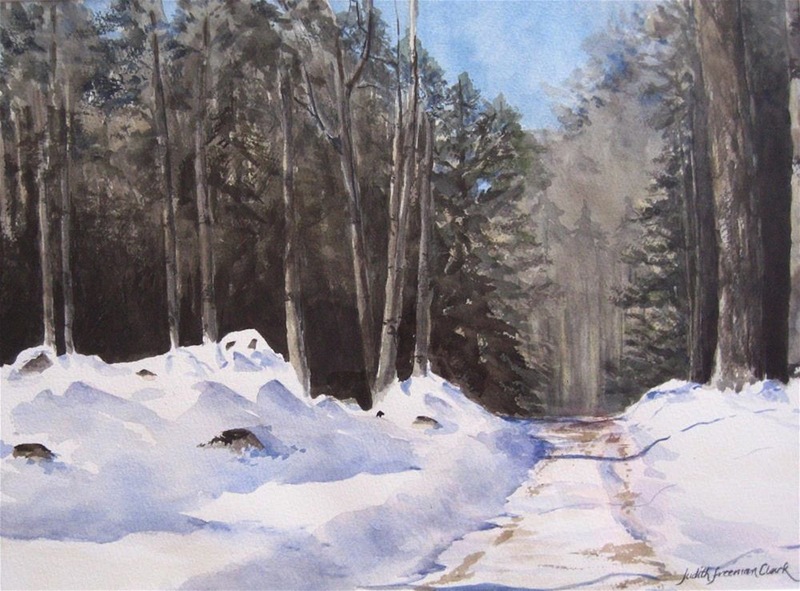 I've wanted to paint another view of this snowy road through a snow-drifted forest, but haven't attempted it until now. Even though I'm not a huge fan of cold weather, I admit that snow can be picturesque... especially around the holidays. I considered doing a copy of the first painting, but experience has shown me that this rarely works. 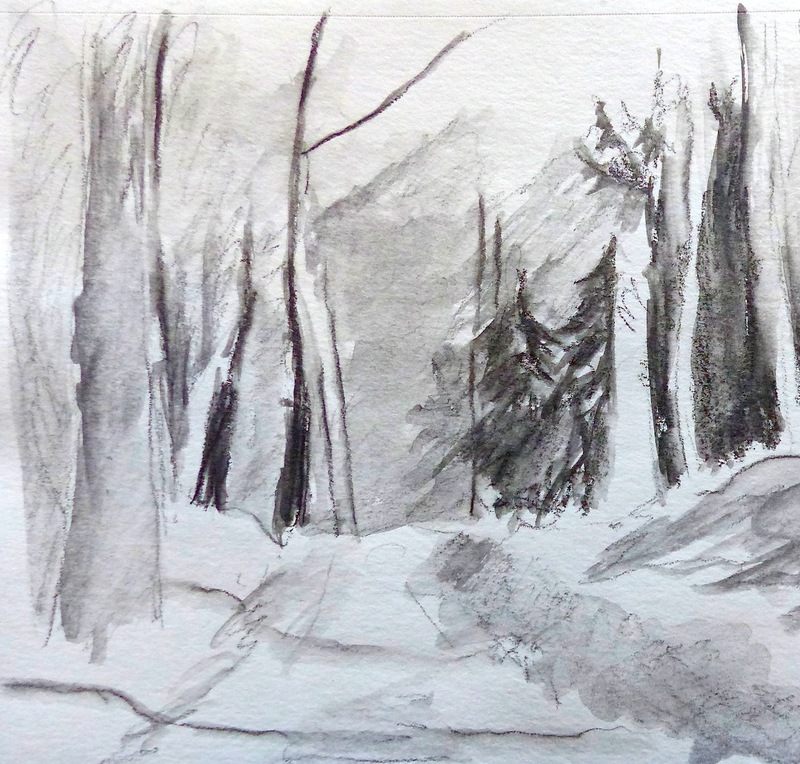 Value sketch for "Snowy Lane"
Rather than trying to duplicate my earlier painting, I decided to alter the scene slightly. After completing the sketch, I painted the tree trunks with liquid masking fluid so I could freely do a juicy wash over the entire sky using a squirrel mop rush. After the sky (in Ultramarine blue) dried, I mixed sepia with Holbein's Shadow Green, then blocked in a middle "horizon line" behind the masked-out trees. I left the upper edge of this line rough so I could blend it softly, into the distant background to emphasize depth. The bottom edge of the horizon line is rendered sharply to give definition to the drifted piles of snow in the foreground. I built up layers of washes suggesting evergreen trees in the distance using mostly Ultramarine, sepia, Payne's gray, and shadow green to mix these multiple washes with, alternately, a 3/8" flat and a #8 round brush. 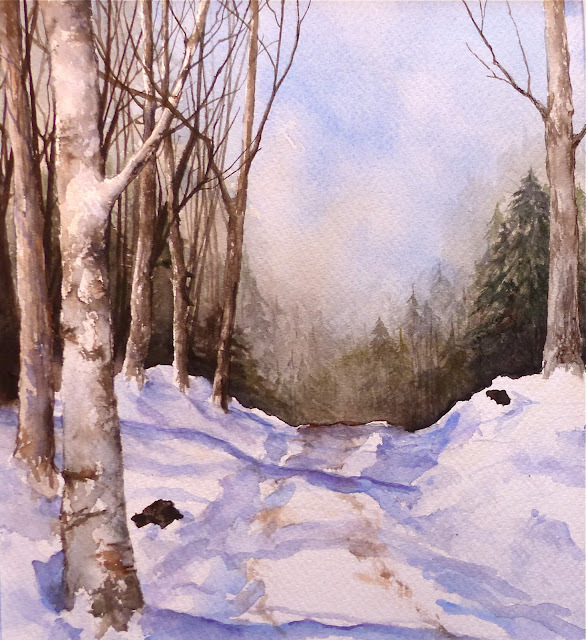 To paint the snow I used a mix of Winsor violet (dioxazine violet) and Ultramarine, making puddly washes for shadows, blending wet-into-wet in some places. After these dried, I picked out some areas with the same pale blue-violet color applied with a dry-brush technique. I removed the masking fluid to begin detailing the tree trunks. I painted these with many wet-into-wet washes, using sepia, Payne's gray, burnt sienna, and a little Ultramarine blue. I used my favorite 3/8" flat brush, as well as a #3 round brush, and several riggers of different sizes for the smaller branches. So far I've spent about five hours total on this painting, but now it's time to stop for the day. I'm often tempted to stay with a painting until it's "finished" but I've learned that I'm happier with a completed painting if I do it in stages. This (above) is what "Snowy Lane" looks tonight, Sunday, November 22.